The Access XL/Series V combines the benefits of the Access/Series V with a size range suitable for larger rooms. 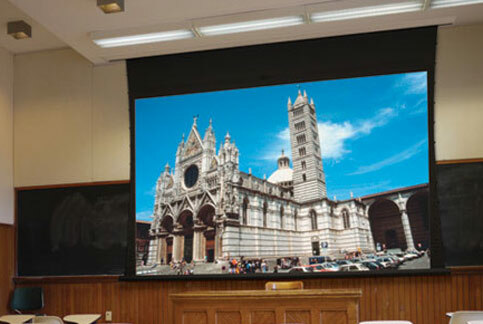 Motorized ceiling-recessed, tab-tensioned front projection screen. Sleek white extruded aluminum case installs above ceiling. Trim flange finishes the ceiling opening. Tab-tensioned viewing surface and roller can be installed at the same time or can be added without tools at a later time. We have no downloads available for the Draper Access XL/Series V at this time.